They show Merko Statyba's offer of 23.55 mln euros (28.5 mln euros including VAT) received 95.16 points and was declared the winning bid. The Police Department refused to disclose which company has won the public-private partnership tender. Saulius Putrimas, CEPO for Merko Statyba, was not available for comment. The winner of the PPP tender will be required to build the commissariat building and maintain it on its own or borrowed funds and will get an annual payment from the state institution. The project's duration is 15 years. The state's contribution into the projects would stand at 20.45 mln euros over 15 years. 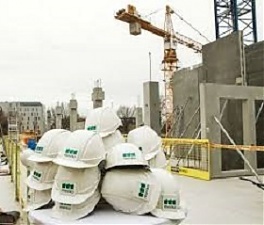 The construction of new police commissariat and custody buildings has been started in Vilnius this year under the PPP method. Pilies Projektai, part of the Darnu Group, has been chosen as partner for the implementation of the 56 mln euro project.